If you find yourself typing the same email over and over, templates are your new best friend. Whether you’re a salesperson pitching to potential clients or a support technician emailing instructions, templates can bring consistency to your emails, help you save time, and increase productivity. Mixmax templates do all that and have the added benefit of Mixmax apps, such as Availability to set up calls or Code Snippet to debug users’ code, that can be included directly in the template. You can create and save templates to Mixmax in two ways. The first is by composing a new email, scrolling over the template button in the bottom toolbar of your Mixmax compose window, and clicking Save this message as a template. The other option is to create templates from the Mixmax dashboard. Just click on Mixmax within your Gmail toolbar and your dashboard will open in a new tab. Next, go to the Templates section, and select Create Template. You can also edit existing templates from the dashboard. Once you’ve saved a template, you can use it immediately. Just scroll over the template button in the bottom toolbar of your Mixmax compose window, choose your template, and it’ll appear right in your email. It’s as simple as that to save yourself the time it’d take to create each email from scratch. Ready for the next step? Team up with Mixmax to create custom branded templates, so you’ll stand out in people’s inboxes. We’ll work with you to make beautiful templates that are both functional for your business and recognizable to your clients. Install for free to check out templates right now. 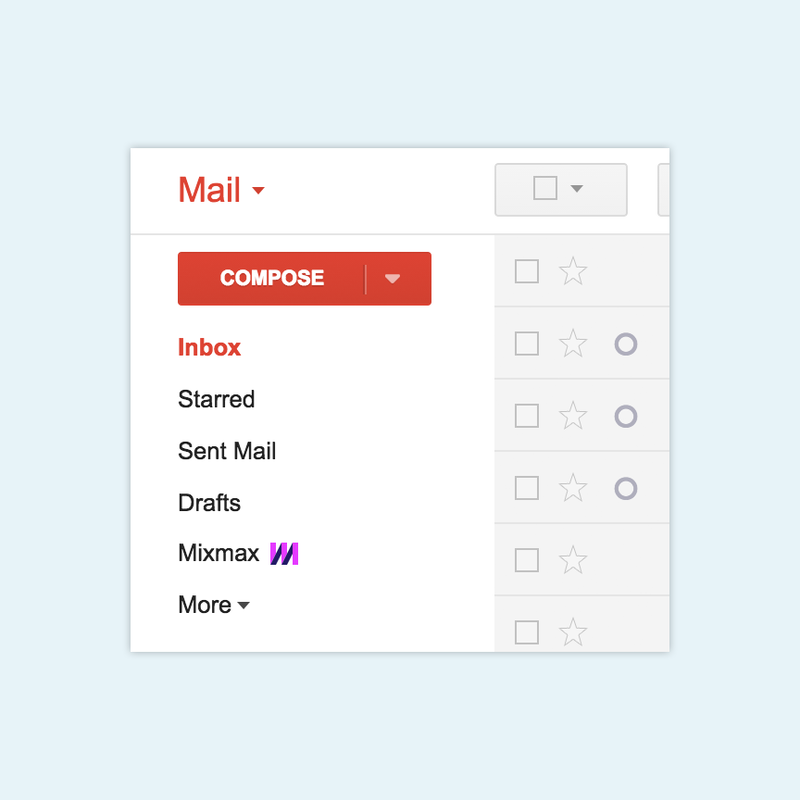 Templates are another example of how Mixmax makes email more powerful for professionals. If you have thoughts on how we can boost your productivity with custom branded templates within Mixmax, we’d love to hear from you. Reach out to us at hello@mixmax.com and follow us @Mixmax.